I remember trying to be really inspirational when he was signing an autograph for me. The previous year, his brother, Rob led the Florida State League in batting. I said something cheesy to him like, "don't try to live up to your brother; you make a name for yourself." 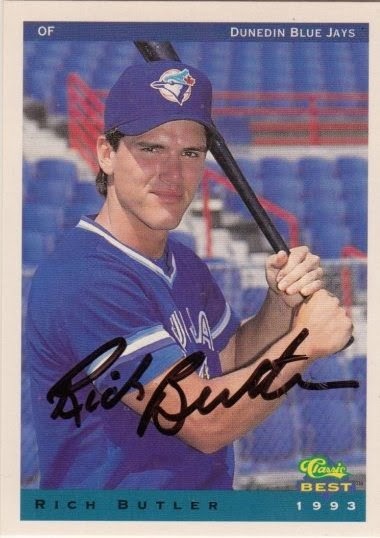 Rich signed a 1993 Classic Best Dunedin Blue Jays Team Set card #4.